Sankari's Sunshine Corner: Taylored Expressions December Release Day: Dig In! Taylored Expressions December Release Day: Dig In! 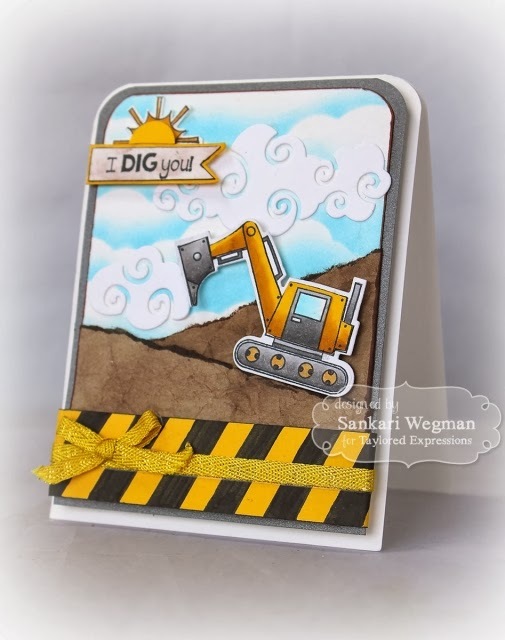 For my project today - I created a fun little card for my little guy using the new petite stamp set called Dig In - that comes with 2 coordinating dies. My son and nephew are the biggest construction vehicle enthusiasts ever! One summer, my son created a journal called: Tractors I have seen - so that he could write down all the different kinds of tractors he saw that summer!! 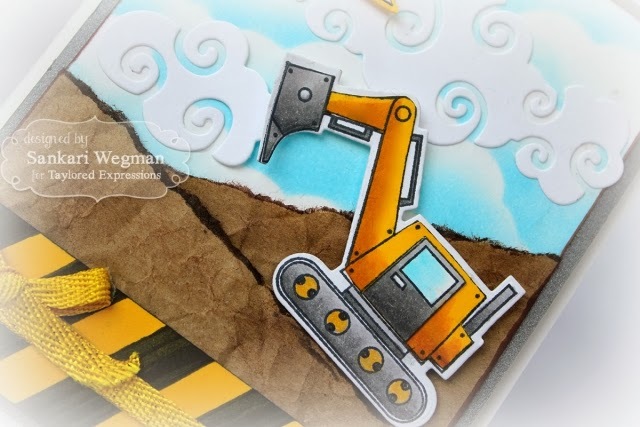 I can't wait to give him this fun construction set with the this fun sentiment! What a darling card for a little boy, Sankari!!! The little back hoe is sooo cute and I looove how you created all the dirt!!!! !